You are ready to go have the adventure of a lifetime and walk the Camino de Santiago in Spain. You will discover some amazing things and I would advise trying to plan as little as possible leaving yourself at least some unplanned adventuring. But of course you should prepare! 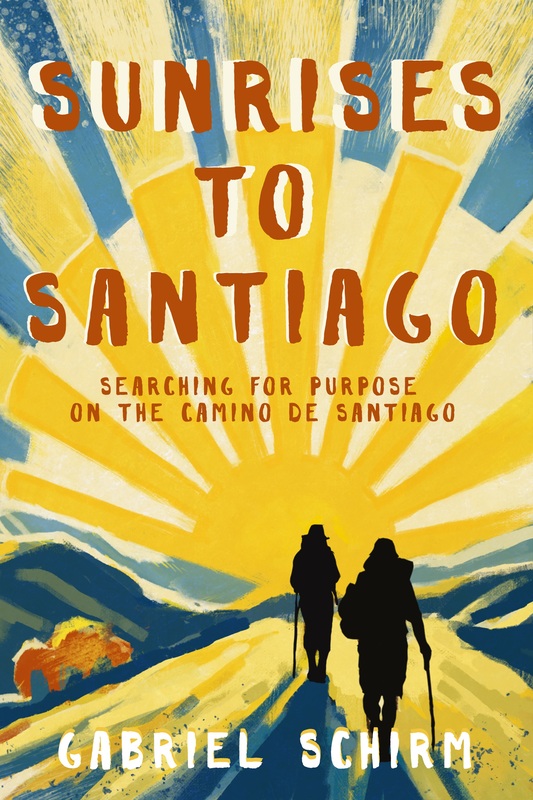 Fresh off the Camino de Santiago myself, (read about this incredible adventure here in the book: Sunrises to Santiago) I have put together a list of 10 things you should know before you go. Buen camino! 1.) Avoid the extra 2 – 4 Euro (3 – 5 USD) ‘included’ breakfasts offered at the albergues along the way. They are usually extremely basic (stale bread, butter, bad coffee) and not worth the money. Grab fruit and better protein packed hiking food at the small grocery stores called alimentacion that are plentiful along the Camino de Santiago. The first ‘bar’ you see stop and grab your first cafe con leche, (coffee with steamed milk) of the day. Fresh and delicious! 3.) How Much Is This Going To Cost? I would plan on about 35 euros (46 USD) per person per day. You can do it cheaper if you want to cook most meals but we ate out all the time. I did not feel like cooking after walking 30 km! Count on an average of 10 euros a night for the albergue, 9 euros for a pilgrims menu and the rest for coffee, breakfast, snacks and painkillers of course. A rough total for the entire trip? I would plan on about $1,500 USD + your flight cost. More details here. 4.) Despite your euphoria and excitement and your body’s fresh state take this first day and week SLOW. Do not push yourself as many pilgrims do, myself included. Your body needs time to adjust to such an increase in physical activity. I pushed it on the first day and regretted it as I was injured the next 29 days and in an immense amount of pain. 5.) Make sure you bring earplugs! Do not forget. I used my earplugs almost every night. Even if we were lucky enough to be in a room with only a few people at least one person always snored. Amy, my wife, also brought an eye mask to block out the light which is always coming from somewhere. 6.) 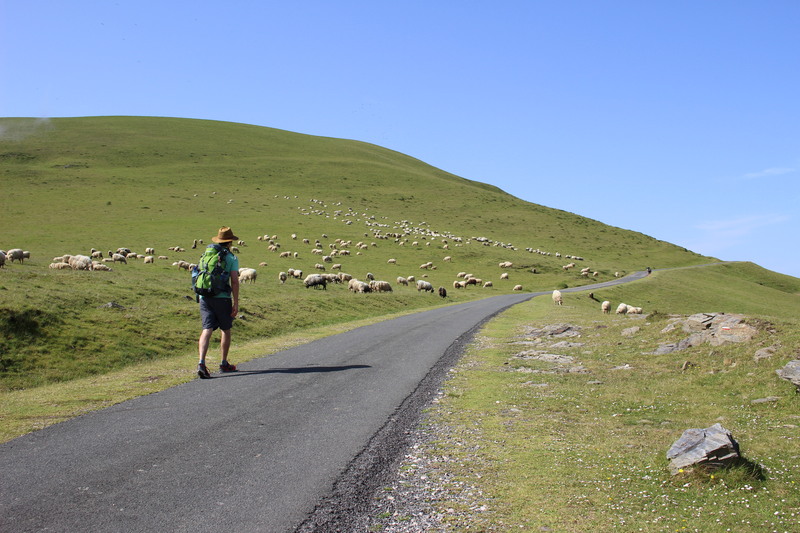 Avoiding Bed Bugs – Unfortunately bed bugs are a growing problem on the Camino de Santiago. If you are going to walk the camino during the summer months you won’t need a sleeping bag. Instead bring a travel sheet. A.) A travel sheet is much lighter for your pack and B.) if you get bed bugs, and chances are you will, a sheet is much easier to wash and dry than a sleeping bag. Many pilgrims go to the pharmacy once they arrive in Spain. Walk in and ask for bed bug spray and they will give you a powerful bottle that you can spray on your bed at night. Bed bugs are very sensitive to heat so if you do get them hot water and a hot dryer should kill them. 7.) Doing Laundry on the Camino de Santiago Typically laundry is done in the sink either outside or inside your albergue. Bring a tiny bottle of powdered or liquid detergent with you as I never saw many options for tiny lightweight bottles of detergent in Spain. Just make sure it is a TSA approved size! Most pilgrims do laundry upon arrival or right after taking a shower. You will most likely be hang drying your clothes so taking advantage of the afternoon sun is key. Make sure to bring 4 or 5 clothes pins so your clothes don’t blow away in the wind. 8.) Don’t Bother Booking Accommodations in Advance Despite warnings in guidebooks and on many Camino de Santiago websites and forums there really is no need to call ahead and reserve a place to stay on your journey. I would argue this is also part of the ‘no plan’ adventure of the Camino de Santiago. Many people stress themselves out, but despite being turned away now and again, we never had trouble finding somewhere to sleep. There are usually a multitude of options and more than enough beds. Embrace the adventure and save yourself the phone charges. 9.) Don’t pack too much water. I used a regular plastic Nalgene bottle which held 32 oz of water. There are so many water fountains along the way that, apart from a few stretches, you won’t go long without a chance to refill your bottle. Water weighs a lot and you can count on an ample supply as you go. No need to carry too much weight! 10.) Avoid staying in the major cities towards the end (the last 100km) Sarria is the starting place for pilgrims who are short on time but want to receive the compostela (the paper that says they have completed the Camino de Santiago) once they arrive in Santiago de Compostela. The minimum requirement is 100km so busloads of tourists are dropped off in this city and you will notice the number of people on the path increase. Especially in the summer. If you want to avoid the crowds (I certainly did) then I recommend staying in the villages just past or before the main stops listed in most guidebooks. The albergues are packed in these big cities so avoiding the masses can relieve the crowd shock many pilgrims experience at this point on the way. Some great advice here! Thank you very much! Thanks for the info.. It will be helpful. Thanks for the great info Gabriel. By the way, what month(s) were you on El Camino? Thank you Andres. I hiked from the beginning of June to the beginning of July. Thank you for your post. Could I please troube you to answer some questions ? 1. how many kilos was your backnpack? 2. Did you use hiking boots or joggers? 3. What was your blister prevention plan? 4. Would sock liners be any hepl? I am hoping to do the track I September next year. 5. I only want to walk parts of the track. Would you have any suggestions ? It’s a lot of quarions but I will appreciate any advice you can give. 1. A little less than 14 kilos. The lighter the better. 2. I used trail running shoes instead of hiking boots. In our experience many people who wore hiking boots got bad blisters. I got no blisters and highly recommend trail running shoes. 3.) My blister prevention plan started with high quality socks, trail running shoes, and allowing our feet to dry if they were ever wet. We carried a blister kit along the way just in case. I never got 1 blister. 4.) Instead of normal cotton socks I recommend Smartwool PhD Outdoor Socks. They really do a great job of keeping your feet dry, warm and even breath well on hot days. And are high quality so no need for sock liners. 5.) If you are only doing parts of the trek, I found the beginning from St. Jean to be the most picturesque. Through Pamplona and Rioja. The end is beautiful as well through Galicia. So from Sarria on depending on how many days you have. The middle part flat and dry is called the Meseta, and if you have to skip any parts, that would be the part I would skip. great info – thanks – first post i’ve found that explains laundry too – pinning this! Thanks Genevievala! I’m glad you found it helpful.